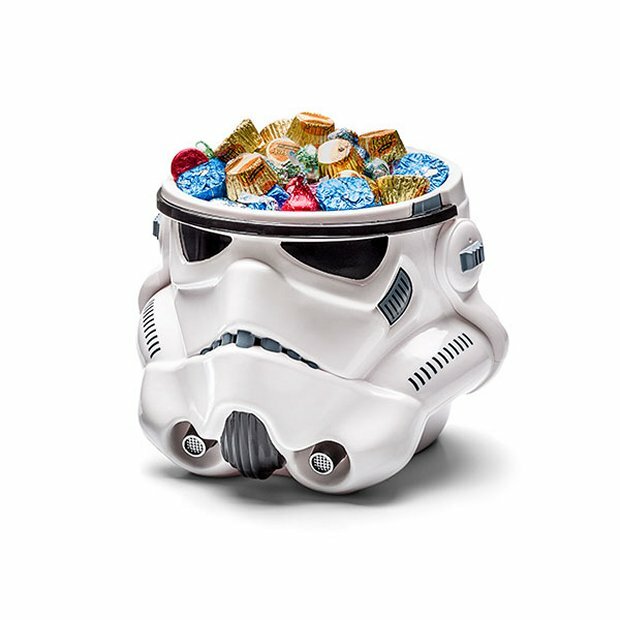 I’m sure that many rebels have wanted to hollow out Darth Vader’s helmet and the helmets of some stormtroopers and serve up candy in them. Well, now they have their wish. 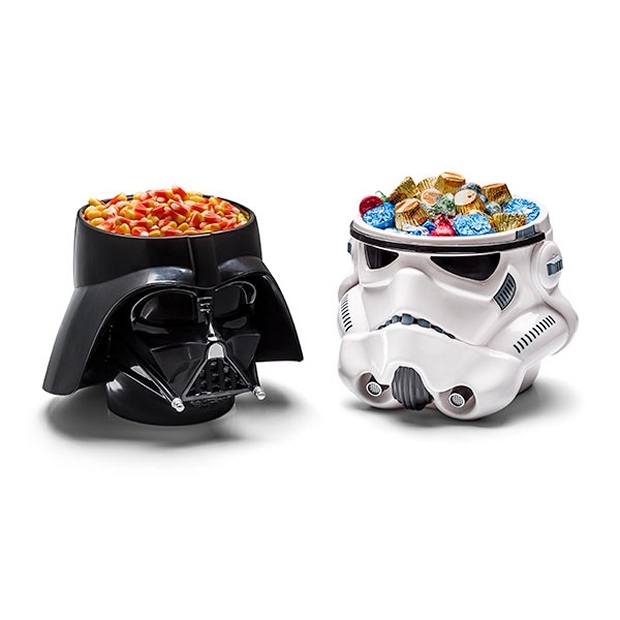 These Star Wars Candy Bowls will impress the kids who show up trick or treating this year. 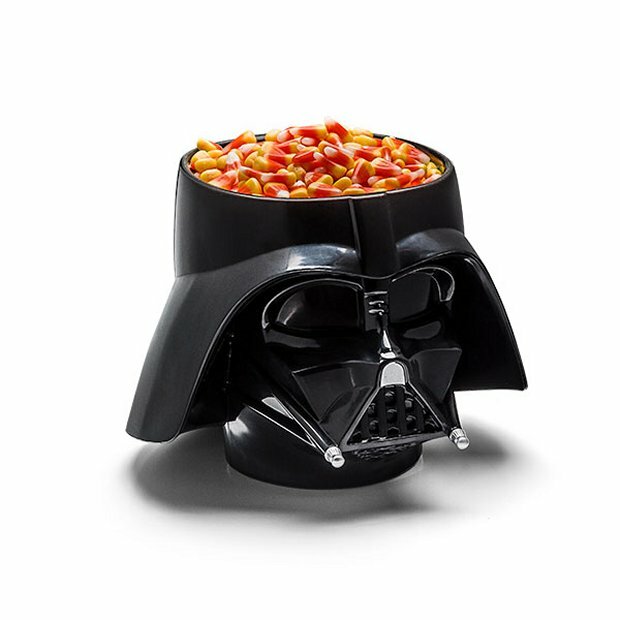 Halloween is all about the Dark Side after all. 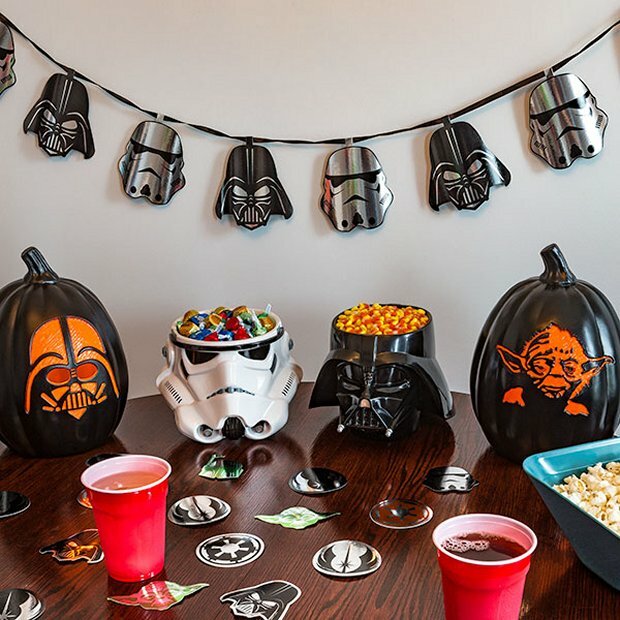 Candy corn looks great in Vader’s head and Reese’s peanut butter cups look pretty good in in a stormtrooper’s head too. So make the Force awaken this Halloween and be the coolest guy on your block. These bowls will make even Necco wafers and Chick-o-Sticks acceptable treats.